Sri Lanka’s longest university lecturer’s strike which runs over three months has temporally called off by the FUTA today. The decision came out after the crucial discussions with the government ended with a positive outcome and government finally agreed to fulfill FUTA’s several demands. Federation of University Teachers' Association (FUTA) says that the final decision has taken at the executive committee meeting today held at Open University Sri Lanka. All arrangements have been made to re commence the academic activites of all universities from Monday October 15. FUTA said ready to start evaluation of A/L papers that was delayed more than two month due to the strike of the university teachers. Federation of University Teachers' Associatio (FUTA), the major lecturer association in Sri Lanka, with more than 4,000 academic members, is demanding that the government allocate 6% of Sri Lanka’s gross domestic product (GDP) to education, grant universities independence from political interference and increase lecturer salaries by 20%. Minister Basil Rajapaksha says FUTA agreed to call off the strike at the meeting on October 9 and if now they say government proposals are not agreeable,government ready to issue a new proposal. The FUTA exco meeting is currently underway. Finance Ministry Secretary Dr. P. B. Jayasundera’s letter did not support and meet our demands Says FUTA at their crucial executive committee meeting. Hence FUTA will not participate for the joint media conference scheduled to hold with Higher education Ministry officials and Minister Basil Rajapaksha at 2 pm. Sri Lankan university lecturers strike to be end on Thursday (11-10-2012).Yesterday meeting between FUTA and Dr. P.B Jayasundara was successful. Still the FUTA has not officially announced the strike called off. University opening dates will be notified in due course. The Meeting between FUTA and Minister Basil Rajapaksha concluded short while ago.It was a fruitful meeting. Charitha Herath,Damma Dissanayake and Jagath Wellawathta were also participated for the meeting.Minister S B Dissanayake didnt participate for the meeting. Sri Lankan Government has invited to the FUTA for two critical meetings. The first meeting will be held between FUTA and Minister Basil Rajapaksha on Saturday(06 October) at 4 pm. Sri Lankan government is hopefully looking forward to solve the University teachers problems. The second meeting will be held on Monday(08-10-2012) between FUTA and Dr.P.B. Jayasundara to resolve the current university lecturers’ strike which has reached 3 months. Higher Education Minister S.B. Dissanayake will not participated for above meetings. 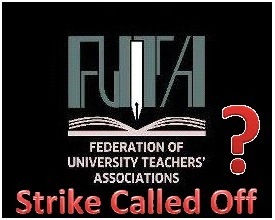 The Federation of University Teachers’ Association (FUTA) launched a strike action from 4th July, demanding an increase of their salaries and allocates 6% GDP for education sector. Higher Education Minister S.B. Dissanayake has visited the Chief Prelates of the Asgiriya and Malwatte Chapters and they have asked Minister to be flexible to resolve strike. Chief Prelates have advised Higher Education Minister to work in harmony with all stakeholders to resolve the crisis facing universities. Thanks for your grateful informations, this blogs will be really help for Education news.